Chancellor Leland said all UC Merced students will be supported regardless of the fate of DACA. UC Merced Chancellor Dorothy Leland has issued the following statement regarding today’s news about DACA. The decision to end DACA is a cruel bait-and-switch for the many young adults who are living, learning, and working here under its protections. Congress must now step up and pass legislation that will allow Dreamers to remain in this country to pursue the opportunities they have earned. 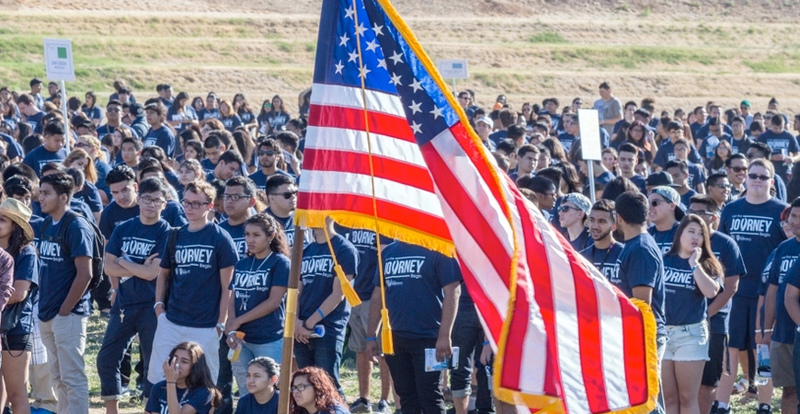 UC Merced is a leader in supporting and educating undocumented students, including the nearly 600 that currently call our campus home. These are hardworking, law-abiding, taxpaying young people who enrich our campus and community. Now is the time for action to ensure that these students will continue to receive the transformational educational experiences that they so richly deserve.